Waiting for the doors to open for a matinee performance of an acclaimed Broadway musical on tour at the Durham Performing Arts Center (DPAC,) several things ran through my mind as I looked from the lobby out at the downtown skyline. One was that as remarkable as the building is, you can just feel that we don’t build things to last anymore. Different than the historic structures in the skyline, according to officials at the Urban Land Institute we only build things to last 20-30 years now or less. Another fleeting thought was how ironic it was that one of the organizations advertising in the program was inferring that the remarkably successful theater, now in its sixth year, was due in part to its vision. My third fleeting observation that day was that but for the Mayor’s letter in the program, not one welcome or announcement leveraged awareness to 70% of the attendees from out of town that they were in Durham. Communities build cultural facilities in part to leverage awareness and to reap not only visitor spending but also to further stimulate the economy in which the facility costs are born when facilities hire local residents and use local vendors. Far too many communities take these returns on investment for granted and fail to lace their expectation into operating agreements. I may have just missed further mentions of Durham that day but this kind of oversight is one far too many cultural facilities and events make, some falling victim to the false notion that they have to blur location in order to be appealing to non-residents on day-trip visits. This is an outdated mid-20th-century notion perpetuated by some media. They hoped it will sell more advertising by homogenizing identities with the promise that they could push consumers past businesses in their hometown to buy the same things several cities, towns and counties away. The further away they could make the claim, the more they could charge for advertising. This fallacy may have been the reason that when two private fortunes built on such advertising both bought Minor League baseball teams in the 1990s, pushing and shoving ensued. One was in Durham and the other destined for Raleigh. But one invoked a territorial clause to push the other to locate instead several towns further east into the far reaches of Wake County. Symbolic is that the one claiming to be the region’s team draws the same proportion of day-trip visitors from throughout the region to games now as it did back before making that claim. Not coincidentally, it’s the same percentage drawn by Durham venues overall without that claim. Drawing attendance from nearby communities and allegiance from visitors, day trip or overnight is earned by pull not push, it is about distinctiveness and sense of place, not hegemony. It is won, not pandered too, by being somewhere, not anywhere. Another sports comparison is that two of the major league sports franchises in North Carolina bypassed the identities of the cities in which they play and whose residents paid to build the palaces in which they play. Instead, they chose the over-reaching identity “Carolina,” hoping not only to claim hegemony over one state, but two. Lost was the fact nearly 6-in-10 professional sports fans today are loyal to a team that is not near where they live. Allegiance must be won, not monopolized. Appeal is about pull, not push. I lobbied for Durham to remain in the name of the Durham Performing Arts Center and first coined the the acronym DPAC based on the success of DBAP for the nearby baseball stadium. But it never occurred to me that the acronym works so well for DBAP only because its where the Durham Bulls play. Even now that views of the downtown skyline are entirely blocked by office buildings, the community for whom the team is named and whose residents and officials built the stadium is referenced repeatedly during games in announcements heard by visitors from out of town who make up the majority in attendance. Officials there plan to make it at least a few seats larger for bragging rights, but DPAC’s accolades long ago transcended mere size. The question is can Greensboro draw the A-list tour companies that Durham’s contract-management does. Raleigh didn’t fold its touring Broadway in the face of Durham’s new theater because of the new facility. It folded because it knew it couldn’t compete with the programming power of Durham’s operator. To their credit, according to a WUNC news radio report, “supporters there stress the Greensboro facility isn't a money-making venture. It's a cultural addition to the community,” a lesson Durham officials could use. 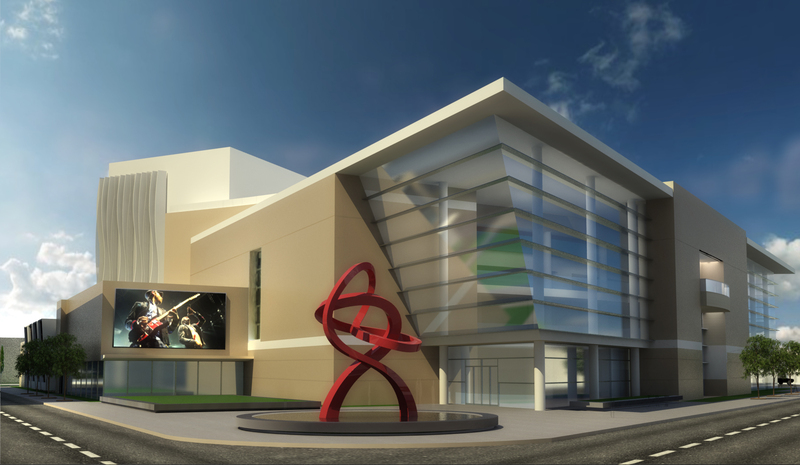 A local official there signaled that Greensboro must realize that its sense of place has eroded noting that the proposed DPAC-like theater there will "provide a specific identity…” for Greensboro. You know you’re in trouble if being one of 500 communities with a theater that hosts touring Broadway shows is your claim to being distinctive. Researchers long ago concluded that sense of place is about what you have, not what you don’t have, about being distinctive rather than emulative or covetous. But Greensboro’s project is an improvement on Durham’s in two ways. Private interests have pledged half the cost rather than pushing for someone else to pay the tab. Second, barring any bait and switch by elected officials, a dollar from every ticket sold will go to increase financial viability for local arts there, especially the indigenous arts that do help make a community distinct. Officials there lectured surrounding communities for not being regional but people don’t go out on a day trip visit to another community because they are pushed or persuaded by homogeneity. Appeal is about the pull of being distinctive and worthy. Only 1-in-10 people who live in the Triangle region anchored by Durham, Chapel Hill and Raleigh think of where they live by a region. They relish living in distinct cities, towns, neighborhoods and counties and being motivated to visit others is about their distinctive sense of place. Durham’s prowess at drawing day-trip visitors from other parts of the Triangle and beyond didn’t come from guilt trips or by minimizing differences and blurring distinctions. Visitor are pulled--not pushed--to places like Durham by the community’s relentless fostering and promotion of its distinctiveness. More than two decades ago when new owners threatened to move the Durham Bulls to an out of town venue so it would be more convenient to out of town fans, a survey by researchers at NC State found that a majority would no longer attend without the Durham ambiance and sense of place. Greensboro would be well advised not to lecture other communities in the Triad region but to instead work to be the kind of distinctive place worthy of a day trip visit. That kind of identity will also be much more holistically reliant than any one facility. Beyond cross town trips, day-trip excursions to another community are drawn by differences, not sameness. Similarly, DPAC, which is impeccably managed and programmed, should re-embrace its Durham-ness wherever possible as part of fully leveraging its impact on the community that built it. The visitors who make up 70% or more of its attendees are drawn as much by the community as the theater, including a small share of the 20% of Durham’s overnight visitors who are shouldering the vast majority of the tab to pay for it. In fact, for at least two decades now visitors have made up 70% of Durham’s overall live theater, festival, sports event and restaurant patrons. Being distinctive as a place to live and visit, when leveraged by community branding and cooperation, pays a huge economic dividend. By the way, once the doors opened, the performance that afternoon was fantastic. It was like being transported to New York City for a few hours.